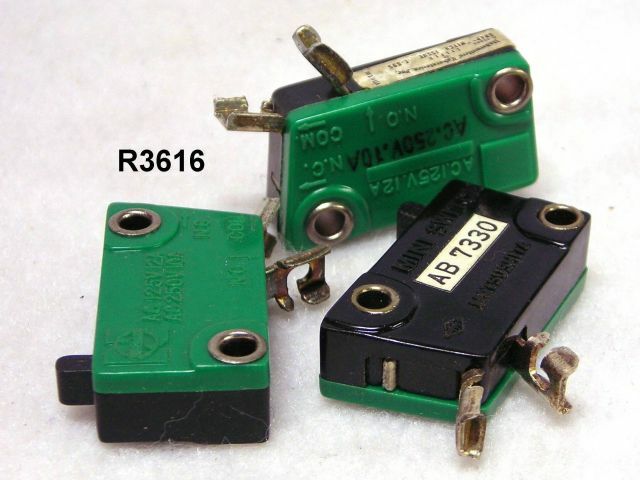 This item is a simple micro-switch, commonly used in machinery timing and safety circuits. Normally open operation, single pole. Rated for 12 A at 125 VAC, and 10 A at 250 VAC. The switch body is 1.2 x .65 x .35 inches Unused.